Helping the fish one mouse-click at a time. Special emphasis has been placed on small storm hydrology and particulate washoff in WinSLAMM. Many currently available urban runoff models have their roots in drainage design where the emphasis is with very large and rare rains. In contrast, stormwater quality problems are mostly associated with common and relatively small rains. The assumptions and simplifications that are legitimately used with drainage design models are not appropriate for water quality models. WinSLAMM therefore incorporates unique process descriptions to more accurately predict the sources of runoff pollutants and flows for the storms of most interest in stormwater quality analyses. However, WinSLAMM can be effectively used in conjunction with drainage design models to incorporate the mutual benefits of water quality controls on drainage design. WinSLAMM has been used in many areas of North America and has been shown to accurately predict stormwater flows and pollutant characteristics for a broad range of rains, development characteristics, and control practices. WinSLAMM is unique in many aspects. One of the most important aspects is its ability to consider many stormwater controls (affecting source areas, drainage systems, and outfalls) together, for a long series of rains. Another is its ability to accurately describe a drainage area in sufficient detail for water quality investigations, but without requiring a great deal of superfluous information that field studies have shown to be of little value in accurately predicting discharge results. WinSLAMM also applies stochastic analysis procedures to more accurately represent actual uncertainty in model input parameters in order to better predict the actual range of outfall conditions (especially pollutant concentrations). 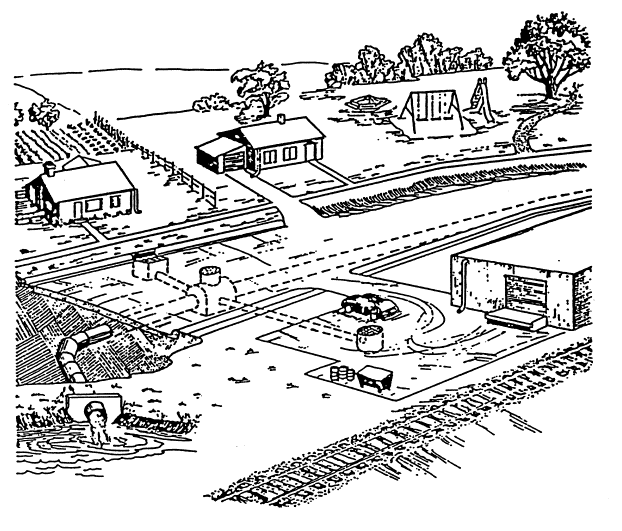 However, the main reason WinSLAMM was developed was because of errors contained in many existing urban runoff models. These errors were obvious when comparing actual field measurements to the solutions obtained from model algorithms.